« Hoe stel ik mijn bron/media/bluray speler in? Marina’s House is the home of a great love story. After it was immortalised by Andrej Sládkovič in 1845 as host to the longest love poem in the world, Marina’s House became the place where lovers left love notes for each other. The Epson EB-Z11000 now allows them to project their love onto the façade of the house. Marina’s House lies in the historic centre of Banska Stiavnica. The famous love story between Marina Pischolva and Andrej Sladkovic took place here. From this great but unfulfilled love, an epic poem was born and Marina’s House has become a favourite site for couples in love. The Epson EB-Z11000 can project an image with a light output of up to 11,000 lumens in XGA resolution. This means that love photos and notes are shown in bright, vivid colours, visible from a great distance. Flexible angle installation, calibration, and the versatile setup options of the Epson EB-Z11000 allow the projection of high-quality images with equally high white and colour light output. 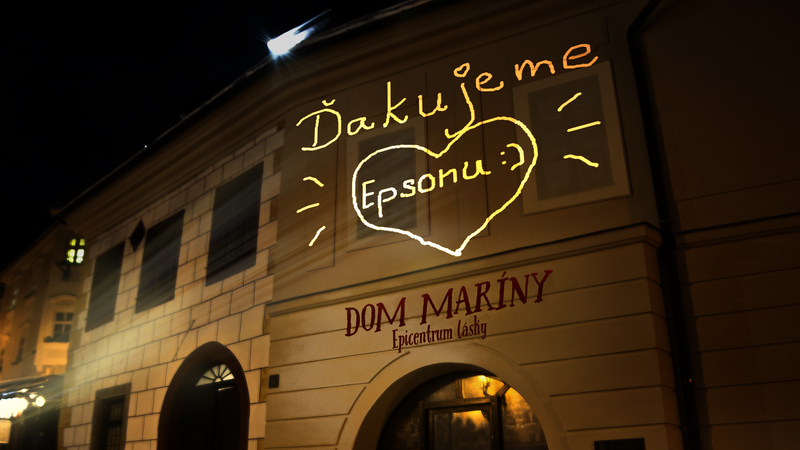 Thanks to the Epson’s technology, lovers continue to visit the historic site and express their love in front of many other lovers. Marina’s House will eventually become an ‘Epicentre of Love’, according to the long-term plans of the non-profit organisation Marina and Sladkovic, the first phase of which was scanning the original manuscript in high quality resolution using Epson scanners. As mentioned above, the second phase focused on reconstructing the historic building’s façade in a way that would save the building yet still enable couples to leave love notes. 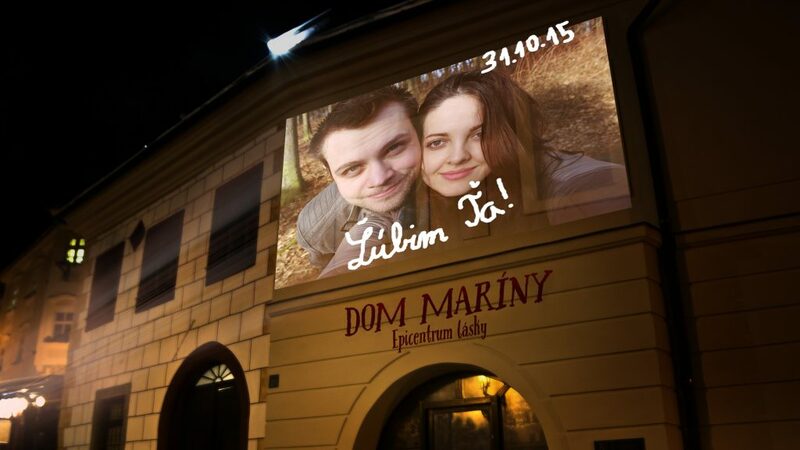 “The 3LCD technology of the Epson projector made it possible for lovers and couples in love to express their love in a modern way in vivid colours and without damaging the landmark,” says Katarina Javorska.So far, three projection events have taken place, the most ambitious of which was a Valentine’s Day event where more than 3,000 people used the opportunity to express their love. The next phase of the project will be the opening of the Epicentre of Love inside Marina’s House. “We’re glad that thanks to the cooperation with Epson we can further evolve our project, which interlinks history with modern technology,” continues Katarina Javorska. This entry was posted on July 21, 2017, 1:06 pm and is filed under informatie. You can follow any responses to this entry through RSS 2.0. Both comments and pings are currently closed.